My morning began with commenting on my friend’s Facebook thread. The thread had to do with yesterday’s Supreme Court ruling. As most of you know, I’m a Christian. The word Christian connotates a variety of definitions nowadays. What I mean by Christian, is that I believe in the inerrant, infallible Word of God and I try to live it out to the best of my ability, which is flawed and imperfect. However, this does not take away from my sincerity of faith and willingness to learn and grow in Christ. There were those on the thread who opposed what I believe. I was well aware in stating my beliefs that I was the minority. However, I respectfully wrote my stance and then was indirectly accused of being a coward, wasting my brains, intellectually lazy and basically, stupid for lack of a better word. This person did not display an ounce of respect, kindness or tolerance toward me or my beliefs. They just condemned Christians as being unloving, biased and narrow minded. However, this same person couldn’t see that what they were doing was precisely what they were accusing Christians of. This person showed absolutely no tolerance for my beliefs, but accused me or people like me, of having no tolerance for others. Meanwhile, this person doesn’t know me to make such an outlandish accusation. This person was basing their opinion on their own limited experience. This person falsely judged me. They don’t know me, they don’t know my history, education, background or life experiences. They simply threw me into the same batch as everyone else they’ve encountered. There were a number of things I would have liked to have said to this person. But I held my peace. I knew debating with them wasn’t going to get me anywhere. They were determined to be right. They prided themselves on their intellectual and academic prowess. As if they’re above it all, having all the answers and condescendingly looking down at Christians, like me, as a pathetic, stupid and lazy. 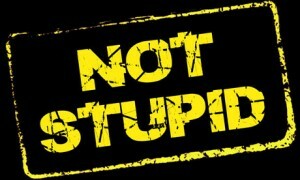 As I’m getting older and maturing, I realize that trying to prove I’m right is futile and a waste of time. Winning a debate or argument all stems from pride and high-minded arrogance. Jesus didn’t argue or try to be right. He kept silent most times. He demonstrated His love in actions. He was humble. God gives grace to the humble. He wants us to be humble; not prideful, arrogant or argumentative. I want to demonstrate love toward those who are vehemently against me and Christians, instead of trying to be right or having the last word. Trust me, it wasn’t easy for me to keep silent. It’s not in my character or make-up to do so, especially when I’m being provoked or disrespected. But I’m glad I listened to the Lord and didn’t feed into it, because now I have a peace that passes all understanding. I pray this person experiences the same one day. What about you? Have you been persecuted, condemned or disrespected because of your faith? How did you handle it? Did you respond or keep silent? Please share in the comment section below. I’m not judging. I’m not pointing a finger at anyone. I’m just simply asking a question… what kind of Christian are you? Will the real Christian please stand up? Silence… maybe their sleeping? I’m not going to get pats on the back with this post. But it’s not about getting pats on the back or approval… it’s about telling the truth. As some of you know, I’m an open minded, free spirited and creative person. However, this does not mean I subscribe to an “everything goes” philosophy. What I mean is this… I’m not going to redefine God’s word to suit my own limited understanding. Today I have been reading ecstatic comments on Facebook from “Christian’s” regarding today’s Supreme Court ruling. Look… I’m not a gay hater, basher or otherwise. If people choose to be in homosexual relationships, that is none of my business. I’m not going to go up to them with a sign and tell them their going to hell or anything like that. But I am also not going to just accept any ole thing or compromise the Word of God. I’m also not going to redefine it, interpret it, sugarcoat it, change it, minimize it or create my own laws to suit myself and subject everyone else to it either. As Christ followers, either we believe in the Bible or we don’t. It’s that simple. He left us a compass… but are we truly living it? I’m not seeing a lot of “Christian’s” living it. Unfortunately, the body of Christ is in a sad and embarrassing state. We are powerless, compromising, selfish, sensual, self-seeking and hedonistic. Choosing to create a god of their own understanding by redefining Him, His Word, His institution of marriage and family. Sadly, true Christianity has been made a mockery and Christians have become the laughing stock of society. Are you the kind that says everything goes? Are you the kind that says God didn’t really say what He means or means what He says? Are you the kind that redefines and interprets the Bible to tickle your fancy? Are you the kind that is afraid to live according to the Word and actually represent Christ and His power to this generation? Are you the kind that believes living according to the Bible is politically incorrect or archaic? Or are you the kind who will pray, believe, stand up, live and be a true example of what it is to be a real Christian full of love and grace to this world? Instead of sitting in your pews, acting pious, compromising and going along with the masses? So again, I ask, what kind of Christian are you? This week was difficult. I was yet again faced with a choice, either to accept abuse or not. 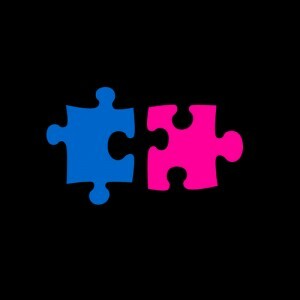 You see, it would have been easier if it was a stranger, but it’s someone I love very much. As many of you know, I am 46 years of age. I don’t act like it, I don’t look like it, but I am. Those 46 years manifests itself through life experience. At 26, I wouldn’t have made the decision I made this week. I would have just accepted it and continue to tolerate it. I accepted toxic relationships and abuse. I didn’t know any better, or maybe I did, but I just didn’t know how to go about setting boundaries. I didn’t find my voice. I accepted things, I made excuses and justifications for the abuse and utter disrespect, for years. When you are subject to abuse, it starts to look normal to you. You start to think this is how life is and you settle. However, there is a fighter in me. Despite the put downs, disrespect, name calling, being hit, cursed and spit at, abused in every sense of the word… deep down, I knew it was wrong. I knew I didn’t deserve it. I just knew. When I was a child, a teenager and even in my twenties, I didn’t have a voice. I was on coping mode. I was trying to make sense out of things that made no sense. I was trying to survive. I was surviving for years, but not living. I was just trying to get from one day to the next. In a dark, dismal and lonely world. I didn’t feel loved or love. Thanks to God, I came a long way from those days, but this week I was brutally reminded of it. I was faced again with a choice, do I just go along and accept it? Or do I say no? As much as it hurt me, I said no. I cut ties with this person I love. I am not angry. I am not harboring resentment or unforgiveness. I simply said no. I can love this person from afar and pray for them. I no longer have to accept or be subject to anyone’s abuse; whether it be family, friends, associates or strangers. One day in 2009, twenty-four-year-old Susannah Cahalan woke up alone in a strange hospital room, strapped to her bed, under guard, and unable to move or speak. A wristband marked her as a “flight risk,” and her medical records—chronicling a month-long hospital stay of which she had no memory at all—showed hallucinations, violence, and dangerous instability. Only weeks earlier, Susannah had been on the threshold of a new, adult life: a healthy, ambitious college grad a few months into her first serious relationship and a promising career as a cub reporter at a major New York newspaper. Who was the stranger who had taken over her body? What was happening to her mind?In this swift and breathtaking narrative, Susannah tells the astonishing true story of her inexplicable descent into madness and the brilliant, lifesaving diagnosis that nearly didn’t happen. A team of doctors would spend a month—and more than a million dollars—trying desperately to pin down a medical explanation for what had gone wrong. 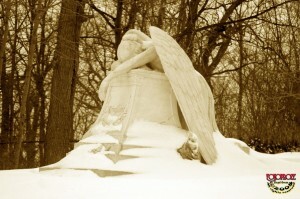 Meanwhile, as the days passed and her family, boyfriend, and friends helplessly stood watch by her bed, she began to move inexorably through psychosis into catatonia and, ultimately, toward death. Yet even as this period nearly tore her family apart, it offered an extraordinary testament to their faith in Susannah and their refusal to let her go. On Tuesday night, I had the privilege of attending this author’s lecture at the New York Public Library. 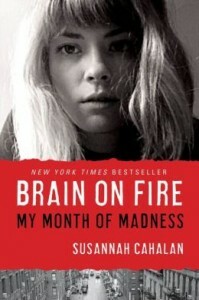 I had first heard about this book, Brain On Fire at last year’s BEA Blogger’s Conference. I was immediately intrigued by her story. I was grateful to be able to hear more about her story, not only directly from her, but also from the doctor who cured her, Dr. Souhel Najjar. I was riveted listening to Susannah Cahalan’s discuss her account and read excerpts to us from her book, Brain On Fire. Thankfully, her doctor, Dr. Najjar thought outside the box and actually listened to her parents too. If not, she would not be alive today to tell the story. What all the doctors thought she had was paranoia, schizophrenia, bi-polar, etc… They basically wrote her off as delusional with psychiatric issues. However, this was not the case at all. What Dr. Najjar discovered was that she had a rare disease called anti-NMDA receptor encephalitis. It’s basically an autoimmune disease causing inflammation to the brain. It was wonderful to see her speaking and completely cured from this horrible and frightening disease which suddenly comes out of nowhere. One day she was fine and the next day she wasn’t. I understand all too well what it’s like to suffer from an autoimmune disease. I have what is called fibromyalgia. It’s a virus that causes inflammation to the joints, tendons and muscles. It’s horribly painful. They do not know what causes is nor how to cure it. There are a host of autoimmune diseases today, by the one that Susannah Cahalan had is the worst by far. As a result of a reading her book after losing their small daughter to this disease, a couple joined another couple in starting the AutoImmune Encephalitis Alliance. They were also present at this talk and also premiered a short video on this disease. What really stood out to me in the discussion and the questions posed, was the thought of how many people have been diagnosed with a psychiatric illness when they could in fact be suffering from anti-NMDA receptor encephalitis. There is still yet much to be learned about this devastating disease. If you are interested in learning more, I highly recommend reading and sharing with others, Brain On Fire. The more people know about this disease, the better. Dr. Najjar is an associate professor of neurology at the NYU Medical Center. He joined the Comprehensive Epilepsy Center in 1998 and serves as the director of the EEG Laboratory. Dr. Najjar is also the director of the Neuroscience Center at the Staten Island University Hospital. Dr. Najjar graduated from the Damascus Medical School in Damascus, Syria in 1983, and did his residency at the Albany medical College in Albany, NY, specializing in pathology and neurology. He also completed neuropathology and epilepsy fellowships at NYU Medical Center. His research interests include histological analysis and investigation of neuroinflammatory factors in surgically resected epileptic tissue. “You don’t understand. I coulda had class, I coulda been a contender. The above is taken from the movie, On The Waterfont, a poignant and powerful scene. My godmother had told me about this movie over the weekend. So, I decided to venture over to the New York Public Library and borrow it. The movie hit home for me because a close relative who I love very much works as a longshoreman. Actually, I have quite a number of relatives who work or have worked at the waterfront. It’s a rough job. I’ve been privy to a lot of it based on my relatives working the docks. They love their jobs immensely, but there is a lot that comes with it that isn’t so attractive. This movie brings such realities to the forefront. There is much to be said on the topic, however, this isn’t my focus. Have you ever felt this way in your life? If it wasn’t for someone or something, your life would have gone differently? I definitely feel this way. I made some wrong decisions in my life and based on those wrong decisions, my life went a different direction. One example of this, is when I left home at the age of 19 and eloped. To me, that was the single biggest mistake I’ve ever made because I was going to college at the time and had to drop out. I got married too young. I was immature. I was naive. I didn’t have any life experience. I should have focused on completing my college education, instead of getting married (i.e., I was married once before). A wrong decision changed the course of my life. I’m not sitting here dwelling on it, however, I do recognize how our decisions can pretty much make or break our lives. Yes. I truly believe I could have been somebody if I didn’t have negative associations. 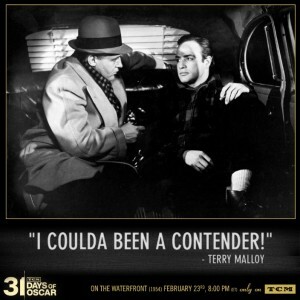 In this movie, his brother was the one who sold him (Marlon Brando’s character) out. His brother placed bets and fixed who would win. He told him it wasn’t his night. His brother’s decision destroyed his boxing career. Which is why the above scene broke my heart. I am well aware of how one wrong move, by a person or a bad decision, can change the course of someone’s life forever. I am grateful the Lord gives us second chances. I don’t know where I would be today if He didn’t. Have you seen this movie? If so, what did you think of it? Also, has God given you a second chance?